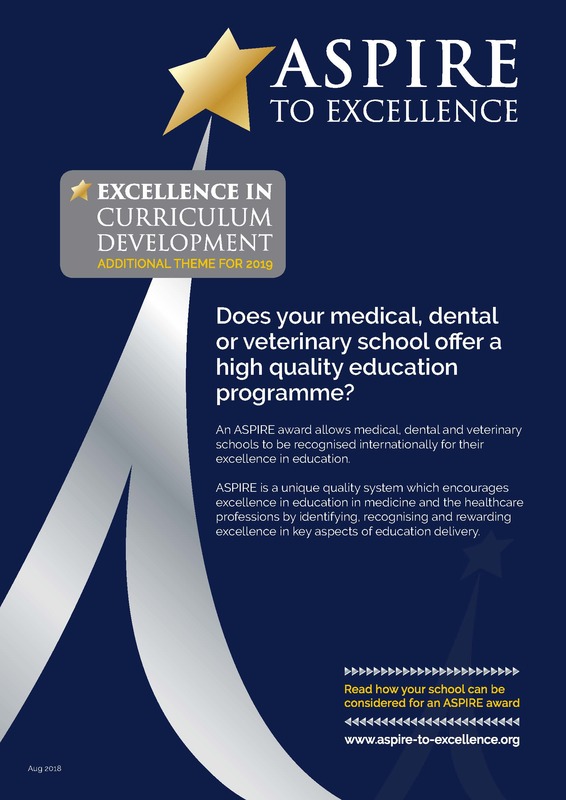 A programme has been initiated to recognise international excellence in medical, dental and veterinary schools. The aim is to promote outstanding performance and excellence in schools in terms of their mission and teaching and learning programme, taking into account the challenges and contexts in which a school is operating. The programme has an International Board of distinguished leaders in medical education as members and is supported by AMEE, working with other organisations with an interest in medical education.